Is your slow system wasting your staff’s time and reducing productivity? Fast, friendly & efficient support. Have the latest iPhone or smartphone? Are you getting the best from your smartphone or iPhone? How to get the best out of it. Are you sure your Backup is secure and working? We have a solution for every Backup problem. Online Backup and Disaster Recovery. 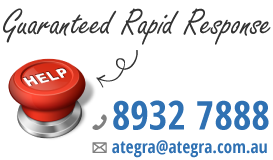 Ategra’s solutions and expertise builds the right IT structure to cover the lifecycle of business technology needs. Ategra's NearCloud Cloud Computing at its best. IT Advice & Strategic Planning. Worry-Free IT Managed Maintenance Plans. When do you have to recover an email? Email archiving and data retention is a hot topic. Are you getting too many spam emails in your inbox each day? It is a problem that does not need to exist. E-mail Spam Protection & Filtering. It could simply mean that you want to outsource the IT hassle to someone else. Nowadays IT is a necessity but that doesn't necessarily mean that you embrace it. It could be that your staff, or the boss, is complaining about the system. It could be that as part of your plan for growth you need to implement a new system. I am completely sympathetic to these concerns and has spoken to hundreds of businesses about everything from email to enterprise applications. The staff at Ategra Computer Technology work with all levels of users and owners and have a wealth of experience in solving problems.